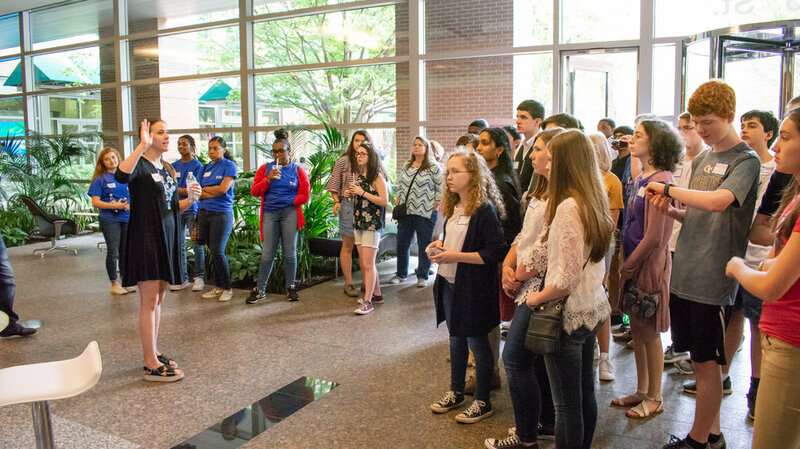 The Day One Challenge is a state-wide innovation challenge for high schools across Georgia. 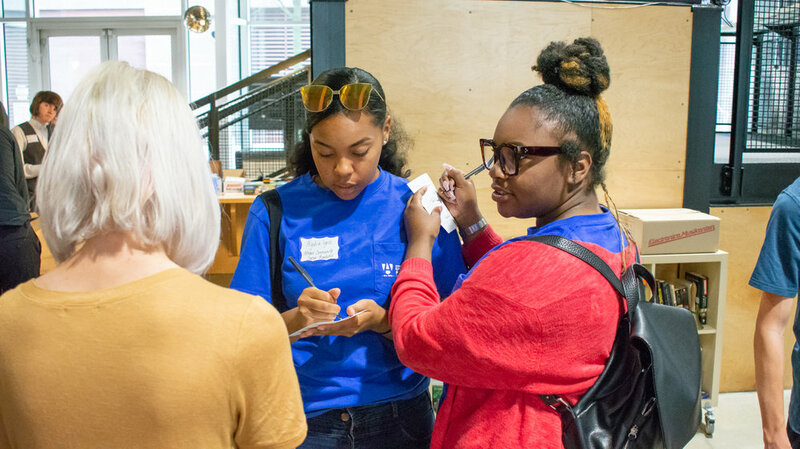 While most events focus on the college and university level, this challenge makes sure that the brightest high school minds in Georgia get better connected to the tech community. 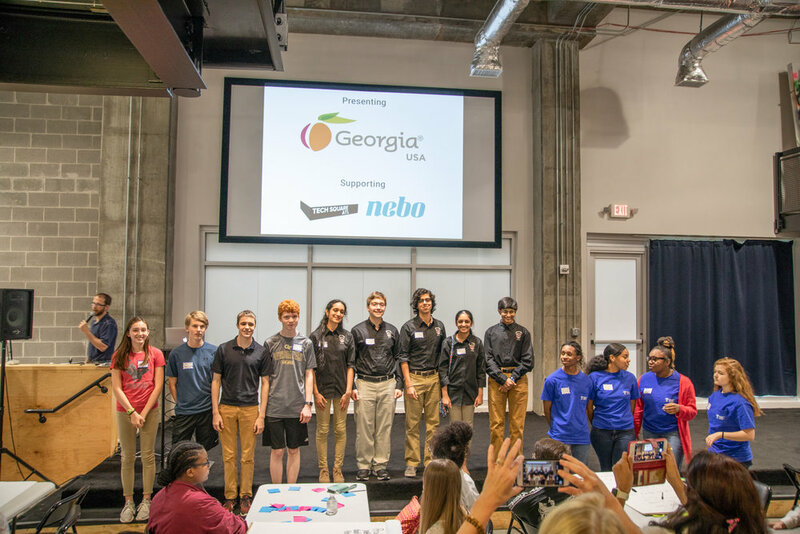 With the support of the State of Georgia and Nebo Agency, Day One challenged high school students to come up with ideas on how they could use artificial intelligence in the areas of health, education, and sustainability. The challenge launched on March 5 and students had 30 days to come up with their solutions. Teams submitted entries via DayOneGeorgia.com website using the PRFAQ format. The PRFAQ (stands for Press Release Frequently Asked Questions) is a core tool used inside of Amazon to vet new ideas and solutions because it forces teams to think holistically and at a much larger scale. Each team also had to submit a short video to explain their idea, which was evaluated for a best video prize. 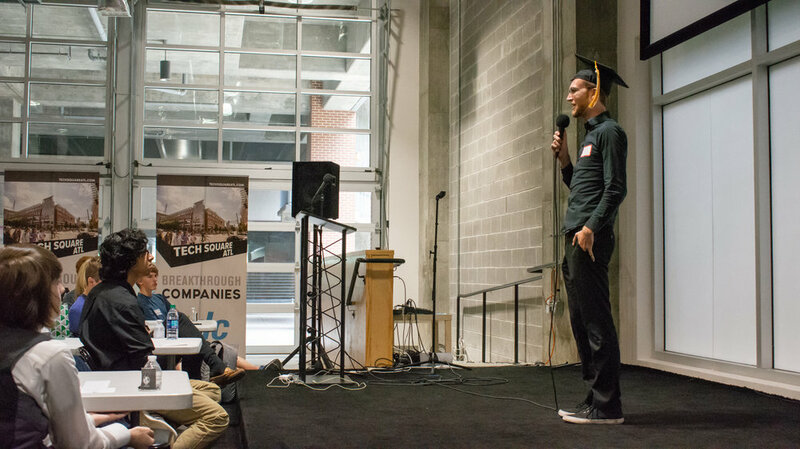 The teams competed for over $7,500 in prizes, awarded by a combination of peer voting, 10 judges from the Atlanta technology community, and public voting. 45 teams started the challenged and 12 teams made it into the final round thanks to their fully complete solutions. On May 5, these 12 teams gathered for the Day One Summit, where they presented their ideas to their peers and judges. Keynote speakers included Jackson Morgan, who happened to be graduating from Georgia Tech that same day; and one of the co-inventors of the Nerf dart gun, Shane Matthews. Students enjoyed a tour of Tech Square, including a walk-through of ATDC, before returning to The Garage for a 45-minute hands-on innovation workshop focused on rapid ideation. "There's a strong hunger within the high school student population for these project-based challenges. We use this challenge to connect them with opportunities like camps, internships, job opportunities, and scholarships. That's really the heart of what the Day One Challenge is. To get the best minds to surface, and then connect them with opportunities that they may not even know exist, so they can then further their path to success," shared Scott Henderson, Day One Challenge organizer. Visit www.dayonegeorgia.com to view the high school team entries, learn more, and get your team ready for the 2019 challenge.